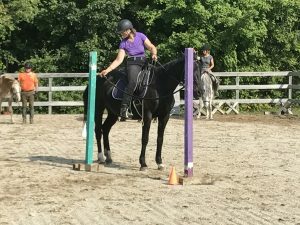 Suzanne Marshall is well known for her clinics on Riding in Lightness that she has been teaching up and down the eastern United States for many years. In the last few years she has introduced the discipline of Working Equitation. 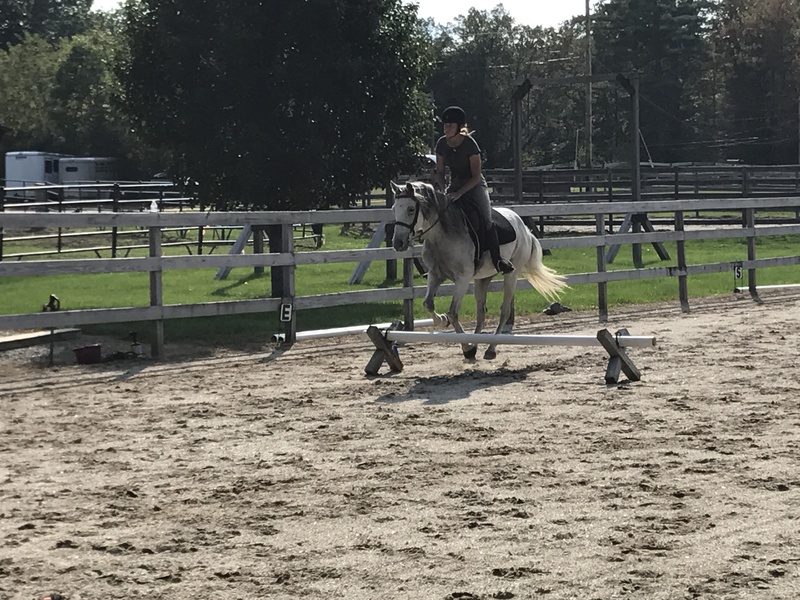 This page gives you the information you need to know about these clinics and why Suzanne feels so strongly about Working Equitation. Every clinic Suzanne does, although based on my years of clinic teaching, is customized to fit the needs of the individual club, farm or association she works with. Her main goal as a clinician is to give a fresh set of eyes, a new viewpoint and insight to the people and horses she get to work with. It is also always an opportunity for her to learn and grow as an instructor and equestrian. And, of equal importance, is the chance to bring her sense of joy and playfulness into situations that are often stressful. 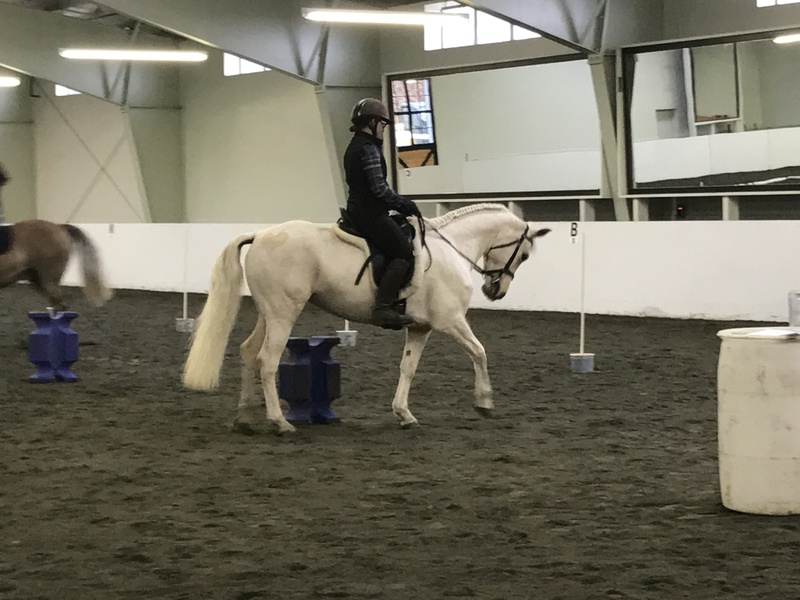 Although she still does her straight French dressage clinics, she truly enjoys incorporating Working Equitation into the mix. Suzanne has over fifteen years of extensive experience in teaching clinics in New Jersey, New York, New Hampshire, Vermont, Connecticut, Massachusetts, Maryland and Florida. 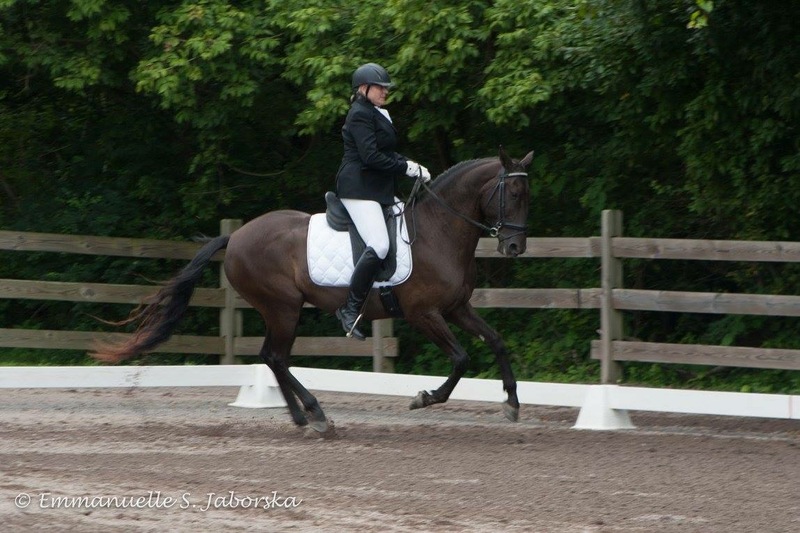 Her exhibition work includes performances at the Eastern Regional Andalusian Horse Association 20th Anniversary Celebration, Equine Affaire, Maryland Horse World Expo, Vermont’s Everything Equine, Sussex County Farm and Horse Show/New Jersey State Fair, Warren County Fair among other venues. She perform classical dressage musical freestyles, theatrical freestyles and garrocha performances to music. Although the majority of her clinician experience has been focused on French dressage covering such topics as: Riding in Lightness – The Art of French Classical Dressage, The Importance of Straightness and How to Achieve it, Lateral Work – The Alpha and Omega of Training, The Benefits of ground work for dressage and any discipline, in the last few years she has been working with people in the discipline of Working Equitation. Several years ago she was hired to judge the Extreme Trail Challenge at the MD Horse World Expo. While judging she was impressed with the responsiveness of the horses and the communication and trust between horse and rider. It occurred to her that dressage riders could benefit from this type of partnership. Discovering Working Equitation was a natural since she has been involved with the Iberian breeds for over twenty-five years and her teacher and mentor for over twenty years, Doina Fischer, is an international Working Equitation judge and has trained some of the leading riders in Europe. 1, 2, or 3 day clinics – 3 day clinics are the most productive but that is not always feasible! Clinics are normally structured with private flat sessions in the AM to allow the rider to focus on lightness and reviewing the basics necessary to ride obstacles correctly prior to the semi-private obstacle sessions in the PM. 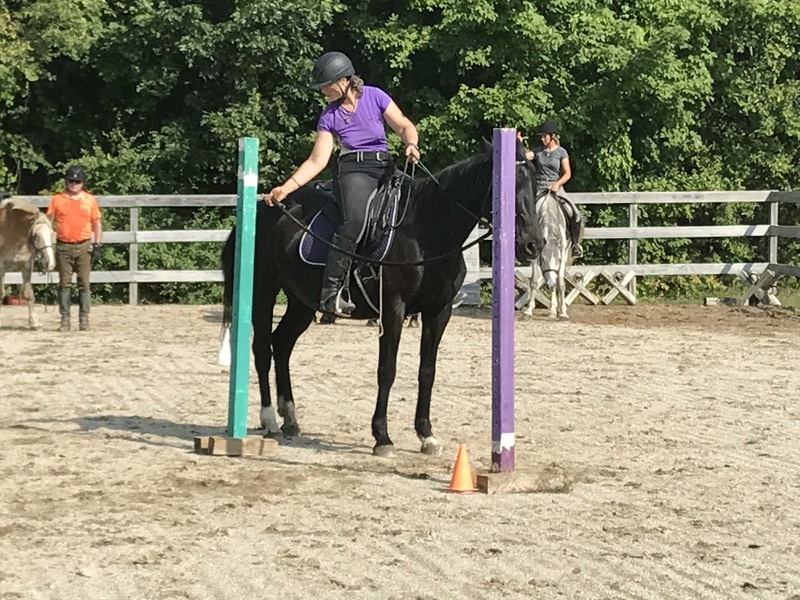 2 riders per Working Equitation session is preferred but privates or 3 riders is possible if desired. Sessions last approx. 1 hr. (privates are about 45 minutes) Times are approximate as it depends on what is happening in the session. Sometimes we must go longer to get through a difficult spot in order to end at a constructive point. Sometimes they are a bit shorter if a huge breakthrough happens. A three day clinic is usually most beneficial since day 1 introduces the concept to horse and rider, day 2 lets them experiment and find their answers and day 3 lets those answers start to feel natural. 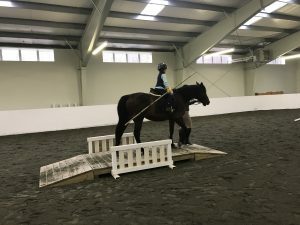 For Working Equitation we focus on five or six obstacles in a day. Obstacles are changed each day to give us something new to work on. Equipment: Ground pole, barrels, jump blocks and standards can create many obstacles. Equipment may be able to be provided depending on location.